In the city-state of Bonvidaeo, by custom and law everyone must wear a mask and act in character with it, or face civil, social and religious penalties. Gregorius Bass is sent to Bonvidaeo as the Envoy of Calaria, primarily to get him out from underfoot. Masked as the Innocent Man, and in the company of his radical young Bonvidaoan servant, Bass stumbles into mystery, intrigue, heresy and murder. We will send City of Masks to your Kindle at . 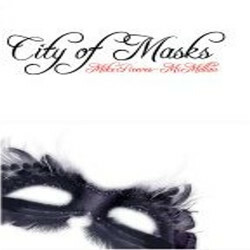 City of Masks has been sent successfully to your Kindle!